Pilot Jazmine Fenlator-Victorian and brakewoman Carrie Russell will represent Jamaica in the 2018 Winter Olympics. The Jamaica Bobsleigh and Skeleton Federation (JBSF) announced earlier this week that a Jamaican women bobsleigh team will be participating at the PyeongChang 2018 Winter Olympic Games in South Korea next month. The team consists of pilot Jazmine Fenlator-Victorian and brake (wo)man Carrie Russell, a first-timer at the Winter Games, and Audra Segree, alternate brake(wo)man. This will be Fenlator-Victorian second participation at the Winter Olympics. In 2014 she represented the United States as the pilot for that country’s bobsleigh team. However, she subsequently made the decision to compete for the land of her birth, Jamaica, in 2015. 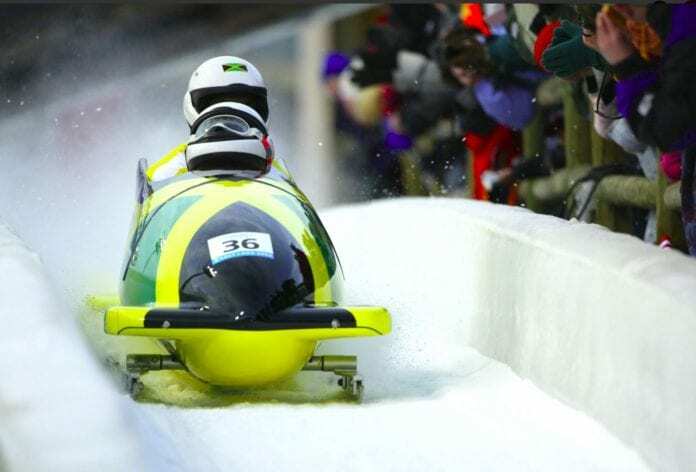 According to the JBSF, the Jamaicans accumulated enough points in competition on the international circuit to give them the opportunity to enter a one-sled contingent, along with Switzerland and Great Britain. This will be the first time a Jamaican women’s bobsleigh will participate at the Winter Olympics. However, Jamaican men teams have been participating in these games since the historic, famous team in the 1988 Winter Olympics in Calgary, Canada. Russell is also a track athlete, a member of the MVP Track Club. She earned a gold medal in the 2013 World Championship as a member of Jamaica’s 4 x 100 meters relay team. Audra Segree is also a sprint athlete with personal best time of 11.30 seconds over the100 meters. Fenlator-Victorian said although this will be her second appearance at the Winter Olympics she is particularly proud to be representing Jamaica in PyeongChang. The JBSF expects the Jamaican team to be a top competitor at the 2018 Winter Olympics. The Jamaican men bobsleigh team is currently ranked 31st on the Olympic qualification list — one spot out of qualifying for PyeongChang. According to the JBSF should any team forego their selection, Jamaica would be next in line to make its seventh appearance in the men’s two-man event on the 30th anniversary since their debut in Calgary. Jamaican Minister of Sports Olivia Grange, has congratulated the women’s bobsleigh team on their historic qualification to the 2018 Winter Olympic Games to be held in PyeongChang, South Korea in February. 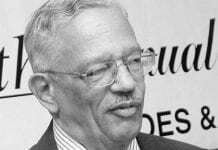 The qualification of the Women’s Bobsleigh team for this year’s Winter Olympics comes 30 years after Jamaica’s men’s team first appeared in the Winter Olympic Games in Calgary, Canada. The men’s team also have a chance of qualifying for the PeongChang 2018 Winter Olympics. Previous articleJWOF Annual Empowerment Conference & Scholarship Luncheon on March 17.